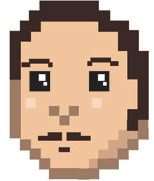 Matt started Pixel Legends originally to cover E3 2011. He relaunched the site with Andrew in December 2011 as a creative outlet for entertaining, critical writings about games and gaming archetypes. While his PC is where most of his games are housed, (thank you Steam!) Matt also plays console games, mostly on the PS3 and Wii. 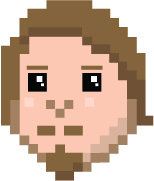 Matt’s a big fan of strategy games, as well as platformers and western RPGs. As a writer himself, Matt loves a good story; if it can draw him in he’ll appreciate it, even if the gameplay is less than stellar. Matt also spends a lot of time trying out indie games and loves supporting independent developers. Aside from video games Matt also enjoys books, wasting time on the internet, and being from England. He doesn’t have a British accent. Ethan has long been an avid gamer, finding his niche in the PC gaming market, while still dabbling in the medium that got him into gaming, consoles. Usually, he finds time to play his Xbox 360 and occasionally will dust of his Wii for a bit to play with friends and family, when he isn’t found locked in his room playing shooters and strategy games. While gaming is his main hobby, he also finds time for the outdoors, learning about technology and being an avid couch potato. Occasionally, Ethan can be found trying to grow super manly facial hair. While he usually fails, he will never stop trying. Is your game playable? Then Ricardo can probably find something positive about it. While he might not love every game he plays, Ricardo is continually fascinated with the mainstream phenomenon that games have become and that makes him happy. Console games and handhelds, it’s been a long road and doesn’t look like it’s anywhere near its end for this intrepid journeyman of gaming’s ever-expanding landscape. She do da graphics and is on the podcast a lot. Author, host, and columnist Genese Davis is a thought-leader in video game culture and social development. She joined the Pixel Legends crew in 2012 and as our Pixel Vision host and since brought an exciting dynamic to the team. Through her passion for the community, Genese demonstrates how team-based games like MMORPGs affect our lives, and how they continue to influence the world around us. Working alongside industry professionals and experiencing competitive gaming laid the foundation for Genese’s first novel, The Holder’s Dominion. Genese is also the owner of The Gamer in You, an online movement offering new meaning to the word gamer. She lives in Irvine, California, where she advocates for her other passion, animal rescue.